Florida has 106 full-power television stations today, and many more channels when you consider their digital offerings. It’s a far cry from what the FCC envisioned for the Sunshine State in the early days of television. WTVJ and WMBR-TV were the first TV stations in Florida. 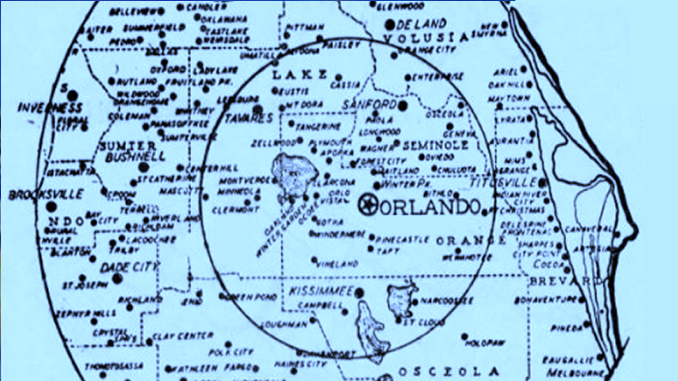 In 1948, when the FCC froze construction and operation of any new television station that had not already been approved, only three areas of the state were assigned TV channels: Miami, Tampa-St. Petersburg and Jacksonville. Four stations had been given the green-light to broadcast here: WTVJ Channel 4 in Miami, WMBR-TV Channel 4 in Jacksonville, WJAX-TV Channel 2 in Jacksonville and WSEE-TV Channel 7 in St. Petersburg. Only the first two went on the air, and the channel assignments for WJAX and WSEE were later moved to other markets. During its TV freeze, the FCC began to re-evaluate what cities would get channels and how to make sure their signals didn’t interfere with each other. By late 1950, it had an outline of a plan that would grant 50 stations across Florida to cities large and surprisingly small. An Oct. 30. 1950 Associated Press story in the Palm Beach Post listed Florida cities which “would be allocated TV channels under the [FCC] staff proposal.” They were: Apalachicola, Belle Glade, Chosen, Clearwater, Crestview, Cross City, Daytona Beach, DeLand, Everglades, Fort Lauderdale (2), Fort Myers (2), Hollywood, Jacksonville (3), Key West (2), Lake City, Lakeland, Lake Worth, Leesburg, Marianna, Melbourne, Miami, Ocala, Orlando, Palatka, Palm Beach, Panama City (2), Pensacola (3), Perry, Plant City, Quincy, St. Augustine, St. Petersburg-Tampa (5), Sanford, Sarasota, Sulphur Springs, Tallahassee, West Palm Beach and Winter Haven. The official FCC channel allocation for Florida on April 13, 1952, came close to matching that early report. The FCC set aside 58 stations for Florida, including 20 VHF stations and 38 UHF stations. Cities as small as DeLand, Marianna, Belle Glade, Palatka and Quincy were all given TV channel assignments. Here’s a look at the original FCC channel assignments for Florida and where those channels or stations are today.